What are the Perfect Shades for Your Home? Today’s architectural designs integrate the outside world into home interiors with large windows and patio doors. This can allow sunlight to pour into your home to wonderful effect. However, there are times when the sun must be tamed or altered to fit the mood or purpose of a room. 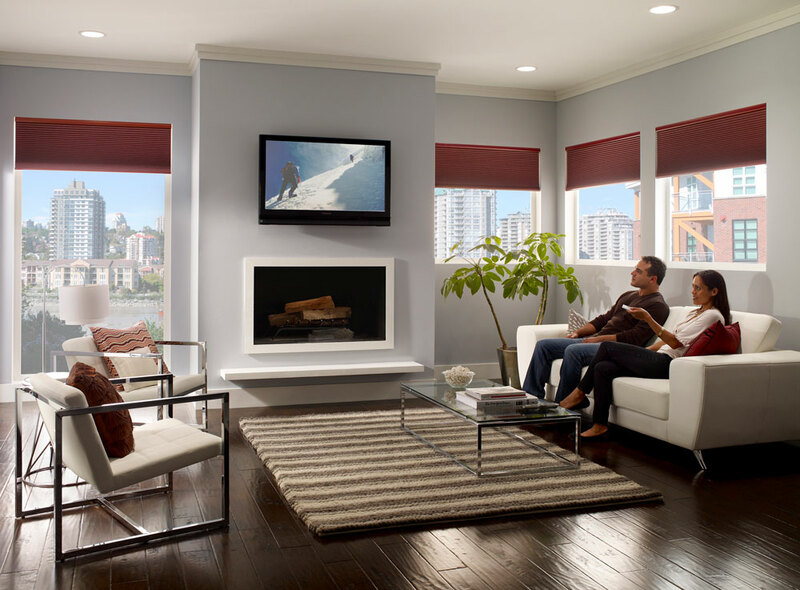 Bedrooms, bathrooms, media rooms, offices or living rooms are perfect places to have total control over daylight. Also, privacy can be addressed with shades that block the interior of the house from the outside. That is where motorized and programmable custom shades from Performance A/V come in. 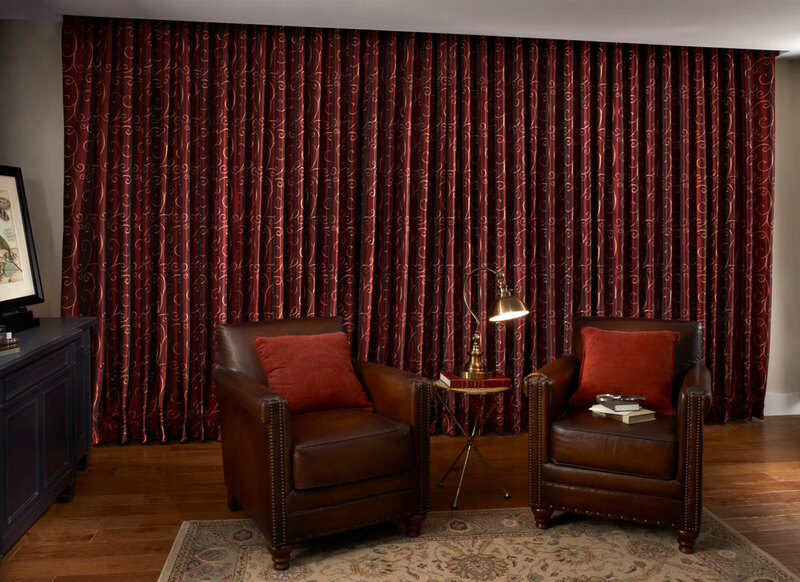 The designs of our shades is a varied as our customer’s different styles and we have practically any style that will best suit your home, from traditional to contemporary and everything in between. 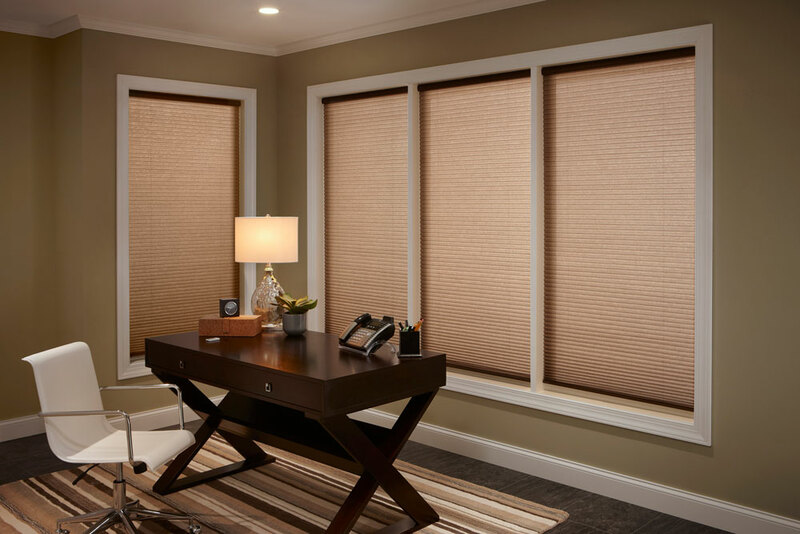 Here are just a few examples to show the effect a set of custom motorized shades can have on the usability an comfort of a sunny room. 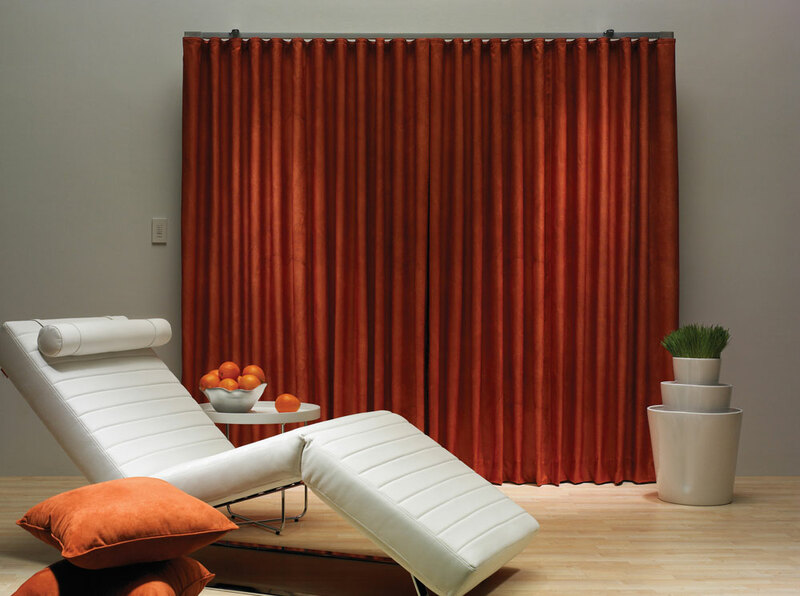 Shades can be translucent to provide privacy while letting soft, filtered light into a room. Motorized controls make deploying them to the open, closed or somewhere-in-between position as easy as a press of a button. Many of today’s modern home designs have generous views into and from inside the home. There are some rooms where more privacy might be designed such as living areas and restrooms. There is nothing worse than trying to watch television or movies in a room full of glare. 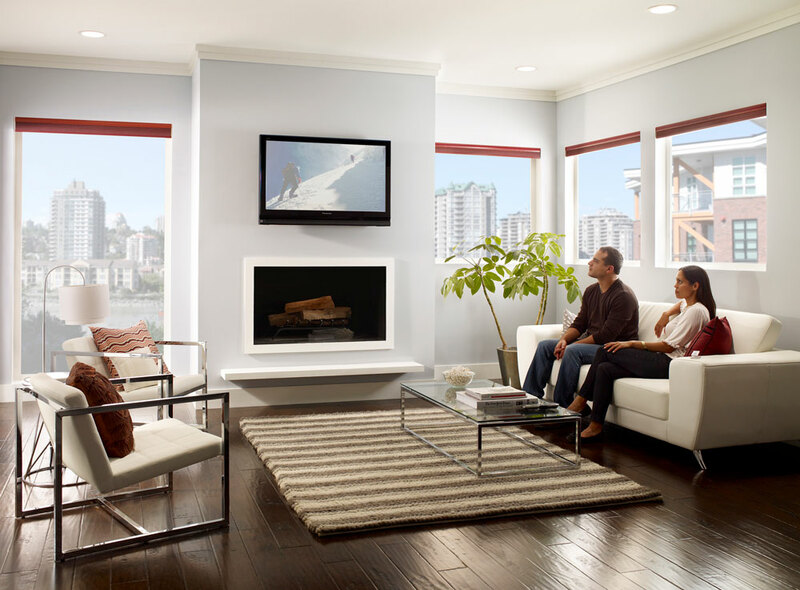 Reducing the amount of light coming through the windows can increase the visual contrast on the expensive television you bought making for an optimal viewing experience. Sometimes you might want a lot of natural light in a home office. Later, as the sun goes down, you might want to tame the blinding rays or prevent others from seeing into your home. 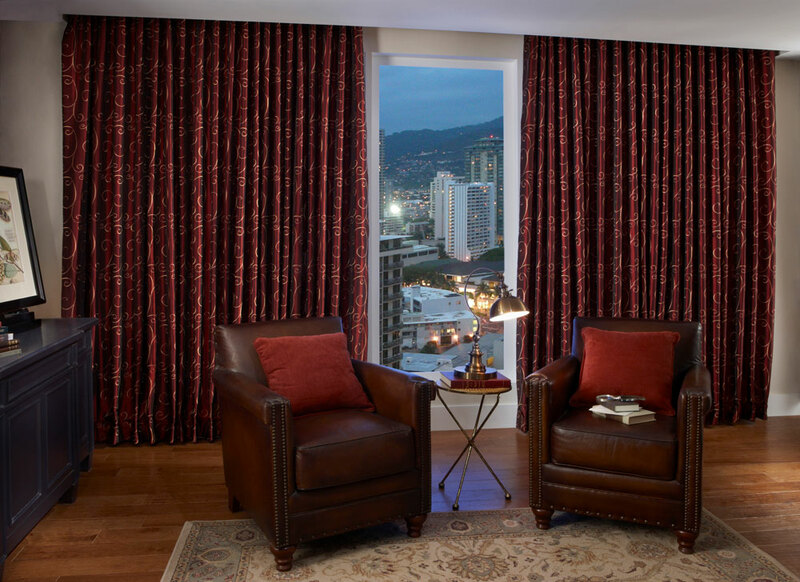 Doors can often be overlooked when planning shades or curtains in a room. Ironically, doors are much larger than windows and have an even greater effect on setting the light level in a room. 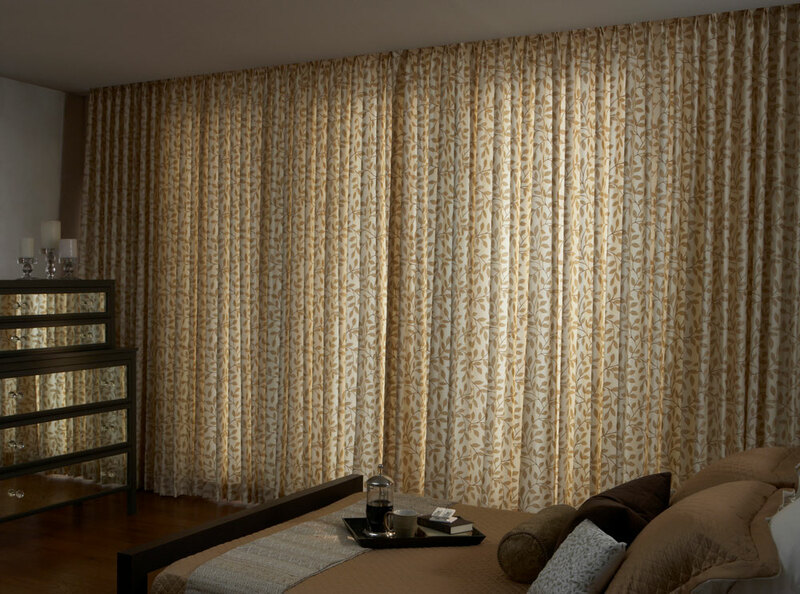 Luckily, there are motorized shades and blinds for those too in almost any style to match your home. 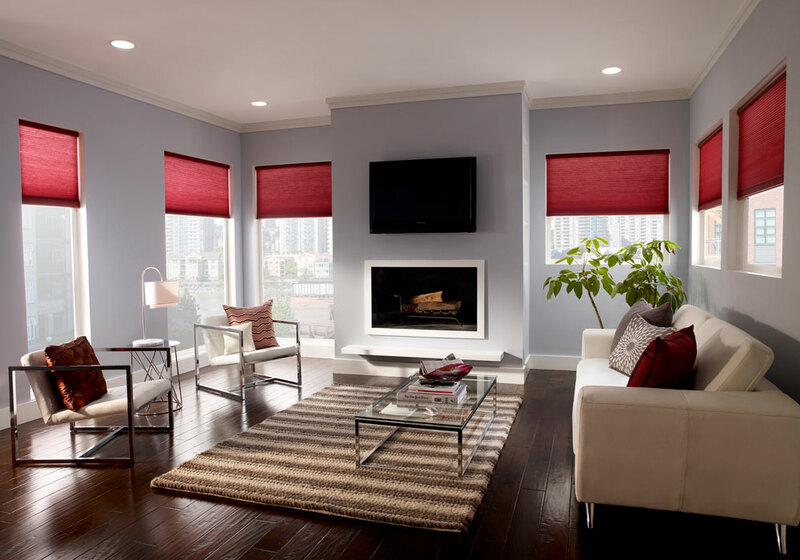 Shades and blinds do not have to be cookie-cutter styles that barely fit the design of your home. 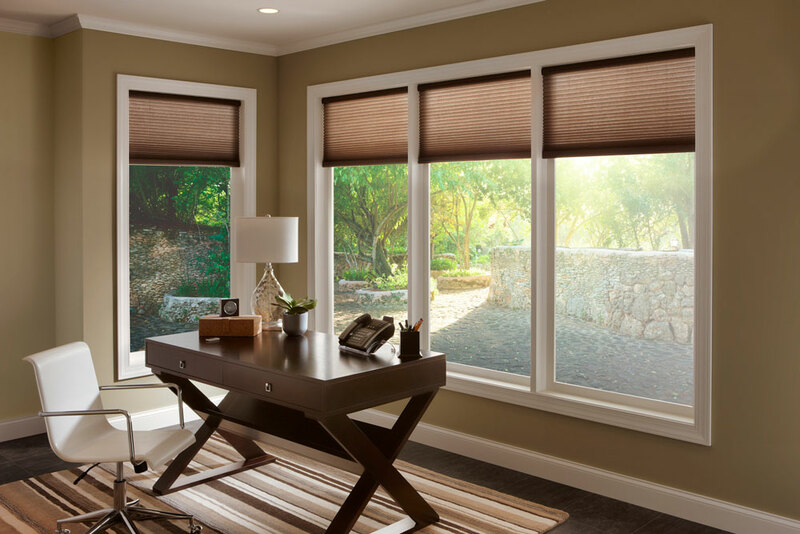 Our shade and blind experts can assist homeowners and designers in learning about the wide array of choices, colors, styles, finishes and connectivity options available from traditional to high-tech. 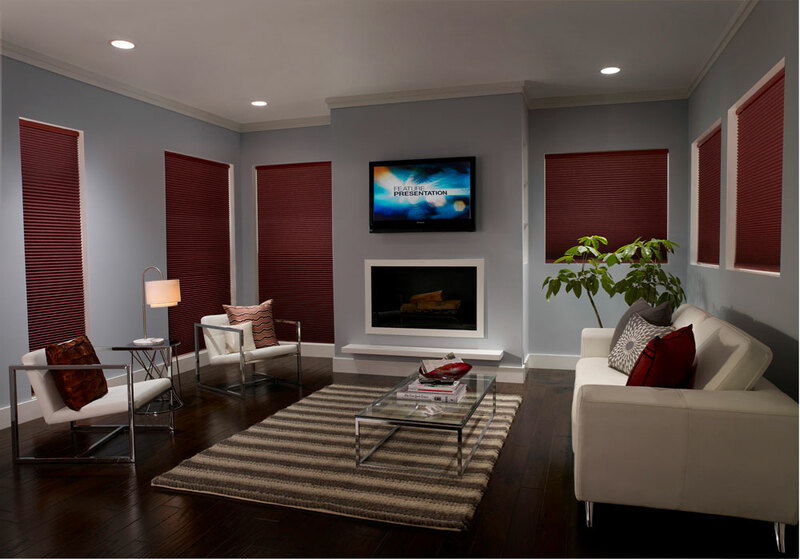 Aesthetics is just a part of integrating motorized blinds and shades into your home lighting plan. Convenience and ease-of-use should also be factors to consider. 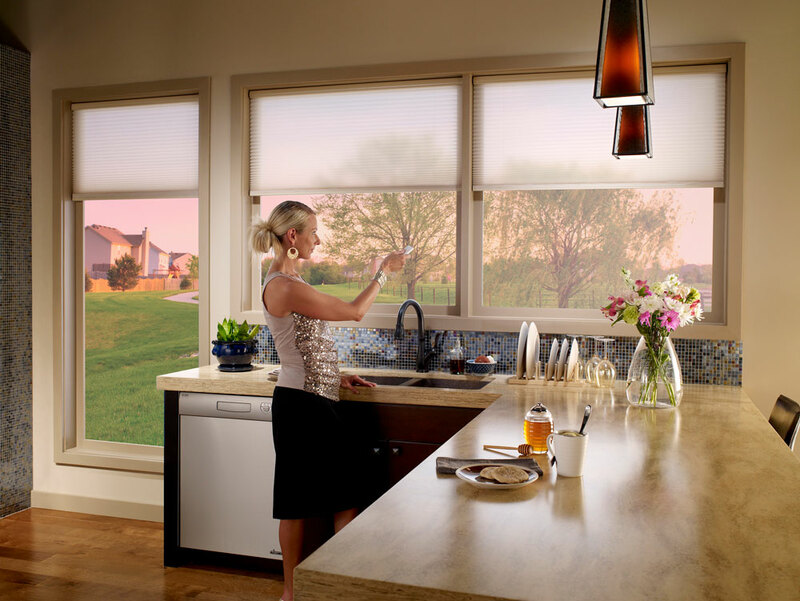 If you have ever had to shut the blinds throughout a large home when evening comes, you know what a task that can be. 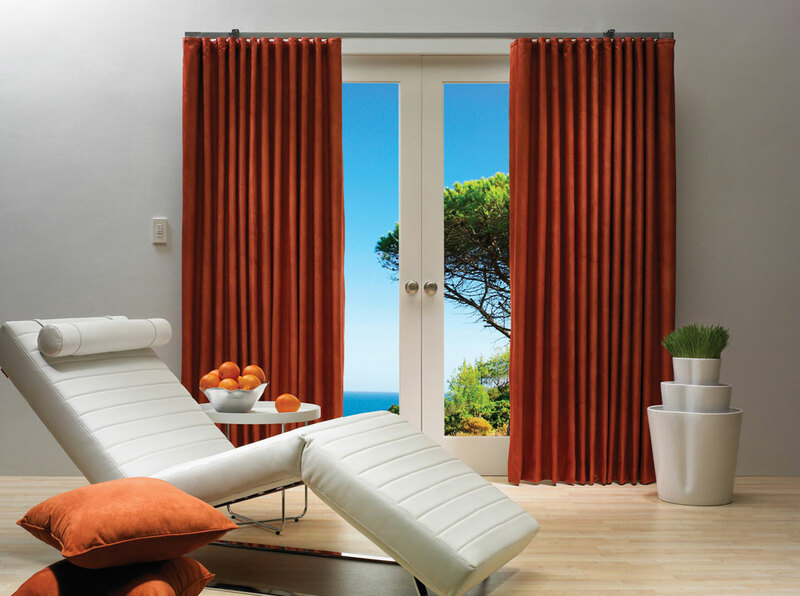 Imagine instead being able to open or close the shades of any room or even the whole house with a click of a button or even by an automatic program. 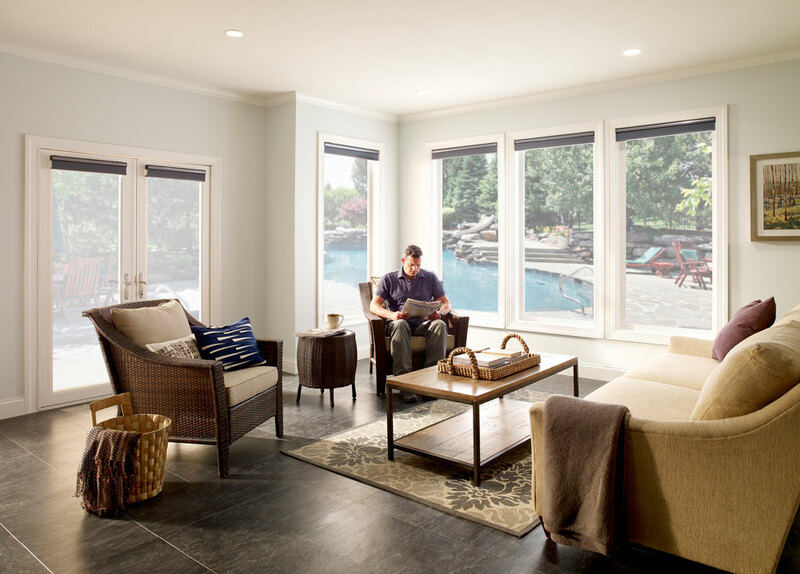 Even if homeowners want giant windows in their bedrooms, they may soon regret that decision if they are not able to shut the light out completely when it time to sleep. Custom-fit, precision-installed blinds, and shades can block the sunlight making the bedroom as dark as a cave and a perfect place for catching up on beauty rest. 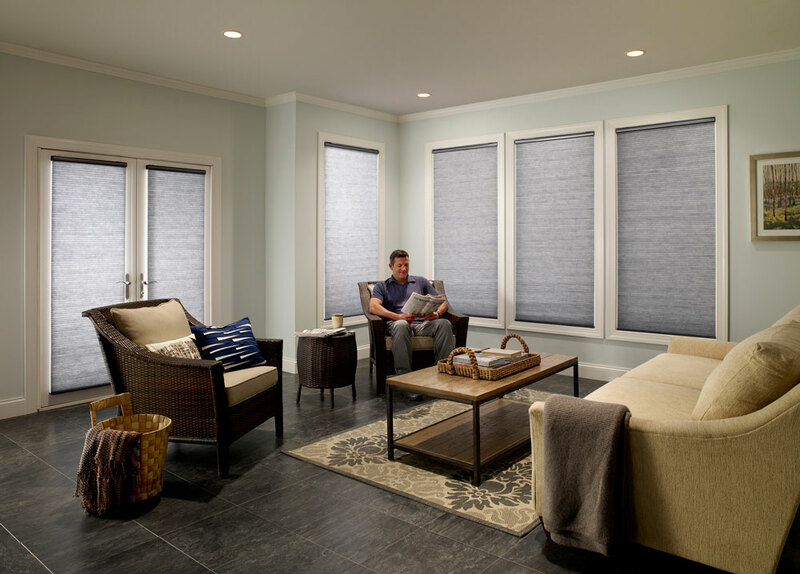 Whether you have custom sized windows, a floor-to-ceiling wall of glass or standard-sized doors, there is a motorized shade and blind solution available to fit into your ambient environment. Our experts can help you sort through the possible solutions to find the best ones.